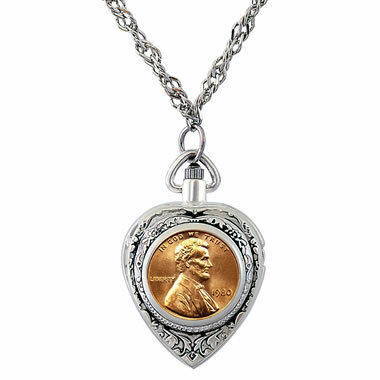 Available only from Hammacher Schlemmer, this watch locket displays a penny from the year of your choice and can be engraved with a three-letter monogram. Ideal for commemorating a birth year, anniversary, or monumental period in one’s life, the front of the pendant displays an uncirculated Lincoln penny, and the reverse can be personalized with three initials. 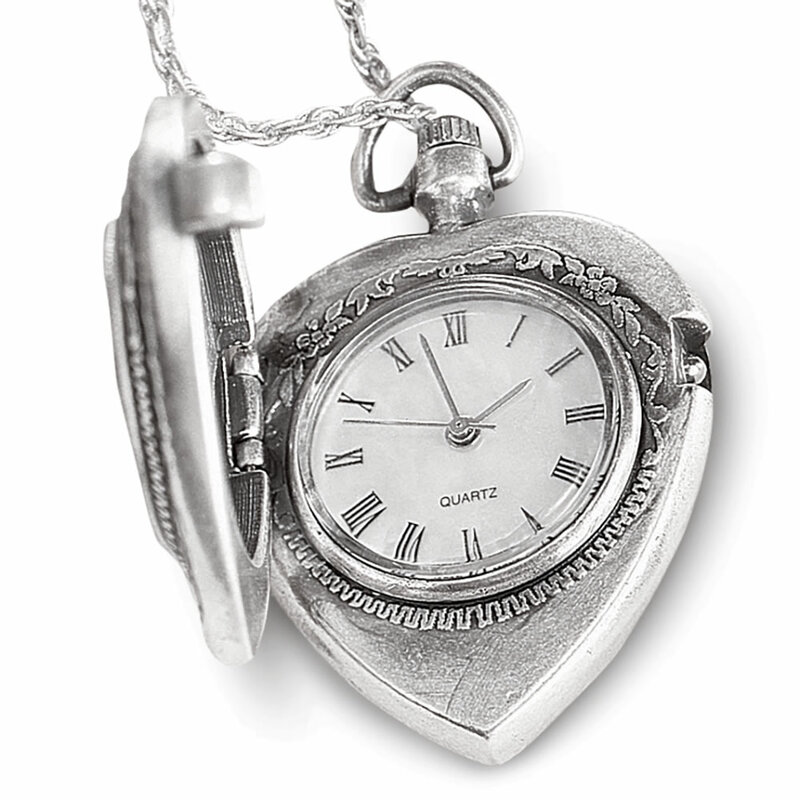 The locket opens to reveal a watch face that features Roman numerals, quartz movement, and three hands that mark the hours, minutes, and seconds. It suspends from a 30"-long chain with a lobster claw clasp. For years 1941-present, 1943 not available. Includes a certificate of authenticity that highlights notable events for each year. 2" H x 1 1/4" W x 1/2" D.
Order by May 2nd for Mother's Day delivery.